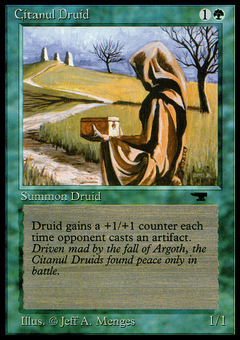 Citanul Druid ($7.89) Price History from major stores - Antiquities - MTGPrice.com Values for Ebay, Amazon and hobby stores! 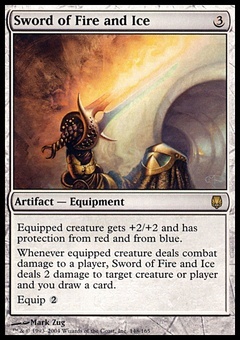 Card Text: Whenever an opponent casts an artifact spell, put a +1/+1 counter on Citanul Druid. 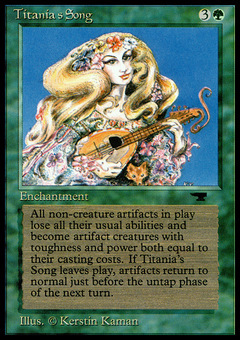 Flavor Text: Driven mad by the fall of Argoth, the Citanul Druids found peace only in battle.